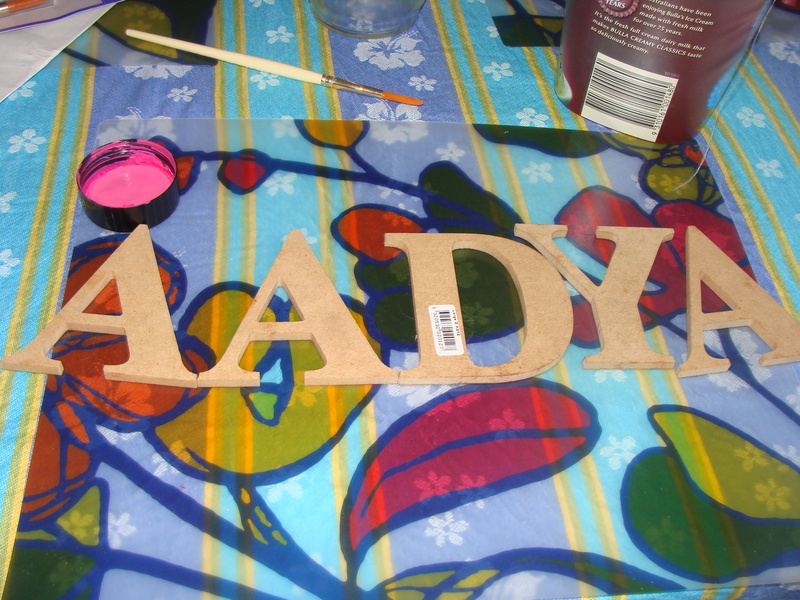 I got these wooden alphabets from the hardware store(Bunnings),the home depot kinds. Three coats of acrylic paint(on hind-sight I think spray paint would work too!) and some random drawings later,the alphabets were ready to adorn the door.I had a bunch of fridge magnets,that came in the mail,you know the restaurant/real-estate card types.And I had put them away for ‘craft’.So,I cut them in 12 strips.I stuck 6 strips on the back of the alphabets,(2 on the D) and stuck the remaining 6 on the door.Then,let the magnets do their work. 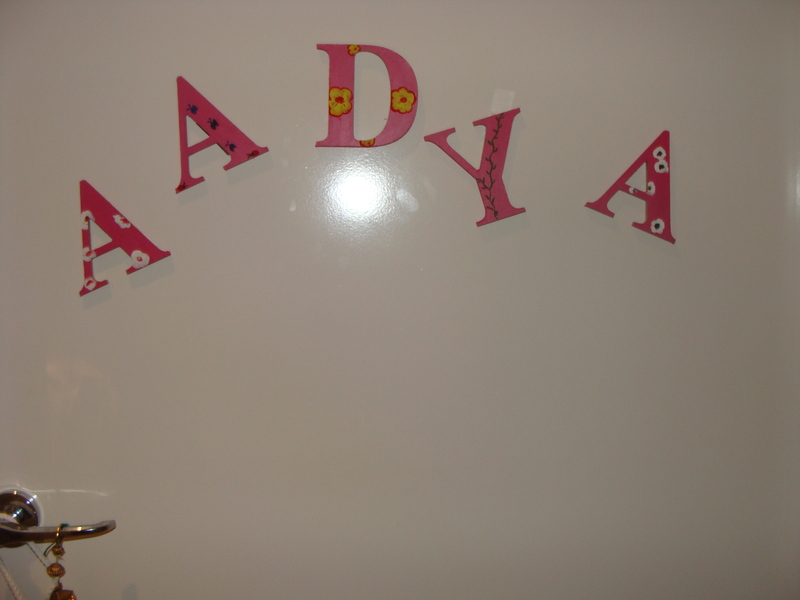 And the excitement on the child’s face is what makes me one happy Crafty maa.